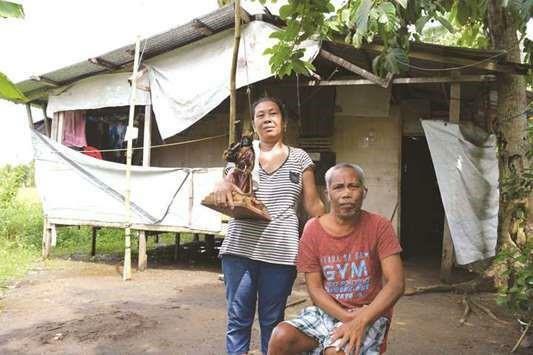 (MENAFN - Gulf Times) Diofel Llamado fled for his life when Super Typhoon Haiyan devastated the Philippines in 2013, yet today he is back living in the same coastal area — even if it puts him in the crosshairs of a future killer storm. On the fifth anniversary of the Philippines' deadliest typhoon on record, his return is emblematic of the struggle in developing nations to move people out of homes in the most disaster-menaced zones. 'You cannot think that you are safe, Llamado, 55, said. 'Even when you are sleeping, you have to think like a soldier: one foot is in the graveyard. Many people simply did not understand the term and did not evacuate despite official warnings. Even some who fled were not spared — Llamado's two daughters were killed when the rushing water collapsed an evacuation centre. Llamado says his small business making savoury pastries would not survive a move, adding that the government-proposed housing in a safer area doesn't even have running water and electricity. 'If someone will offer us a means of livelihood, we can live there. But until that happens, how will we survive? he asked. 'No one is going to give you food. 'Everywhere the single most difficult thing to do is to move people from their own village or territory and put them in a strange place, he said. 'Unless you have a proper plan and a better alternative they won't go, he added. China, one of the world's most disaster-susceptible nations, has been criticised for forcibly moving survivors of its frequent landslides. 'That's the lesson we must learn. We must not wait for...a disaster before we think of that, she said. 'How destructive a storm is crucially depends on who and what is in harm's way, Otto said.